Our law firm counsels individuals and families throughout Southern California in the areas of Estate Planning, Advanced Estate Planning, Asset Protection, Business Entity Formation, Family Law, and Prenuptial and Marital agreements. 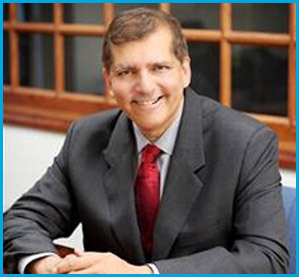 Attorney Harry Mirchandaney counsels clients throughout Southern California on Estate Planning, Advanced Estate Planning, Asset Protection, Entity Formation, Divorce (and related issues of Child Custody and Support, Spousal Support and Property Division), and Prenuptial and Marital Agreements, through HMA's offices in Riverside, Newport Beach, and other satellite locations. Harry received his JD from Loyola Law School where he served as an Editor of The Loyola of Los Angeles International and Comparative Law Review. He also holds a Certificate in Copyright Law from Harvard Law School. In addition, Harry has an an MBA from UNC-Chapel Hill, a MS degree from Lehigh University, and an undergraduate degree in engineering from Cornell. Harry was sponsored for his MBA and MS degrees by IBM Corporation, where he started as an Assistant Engineer and rose to the position of Senior Manager responsible for world-wide Programs and Projects, prior to pursuing his interest in Law. Harry is admitted to practice in all courts of California, the Trusts and Estates section of the American Bar Association, the Family Law section of the Orange County Bar Association, and the Riverside County Bar Association.